Nitish Kumar's message delivered on Monday afternoon minutes after his meeting with NDA presidential candidate Ram Nath Kovind at Governor House in Patna clearly indicated where the votes of his party's MPs and MLAs were going for the 17 July polls. The Bihar chief minister had said three noteworthy things: First, he expressed personal satisfaction and happiness over ruling NDA’s nomination of Ram Nath Kovind for the President of India; second, the Governor House of Bihar will have the honour of sending the next head of nation; third, he had conveyed his feeling to Congress president Sonia Gandhi, when she had called him to discuss BJP’s surprise announcement of a non-controversial, low-key and credible Dalit leader as their presidential nominee. Wednesday's meet of senior party leaders convened by Nitish at his residence in Patna formally put a stamp on his “personal happiness” to meet the norms of a democratic party in a democratic polity. The move, however, is loaded with political implications. This is a clear snub to the likes of Sonia and Rahul Gandhi, Sitaram Yechury, Mamata Banerjee, Lalu Prasad Yadav, Akhilesh Yadav who are clinging onto a desperate hope of stitching up an alliance and unite the badly mauled Opposition parties. In fact, Nitish chose to decide his own path just a day before Sonia was to chair a meeting of the grand coalition of Opposition parties to pick their candidate (with less than 38 percent of votes in the Electoral College) to challenge the NDA presidential candidate (with over 62 percent of the total votes of the Electoral College). In a way, Nitish has pre-empted the dilemma he might have faced if Congress had fielded another Dalit candidate — Meira Kumar — the daughter of Babu Jagjivan Ram who was from Bihar. 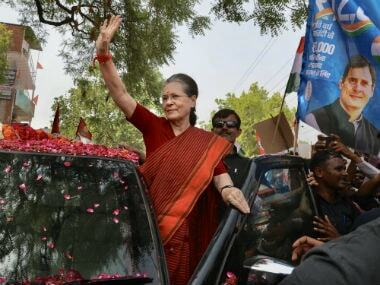 The Congress was mulling to nominate Meira as their presidential choice to keep the likes of Mayawati, who were wary opposing a Dalit presidential nominee, within their fold. Just as Sonia and Rahul's politics has been that of family entitlement and dynastic succession, Meira too is a product of politics of entitlement which explains why she was chosen as the Speaker of Lok Sabha in 2009. Her being a Dalit and also the opportunity to become India's first woman Lok Sabha Speaker had cleared the deck for her then. These same entitlement credentials are being flaunted once again in 2017. 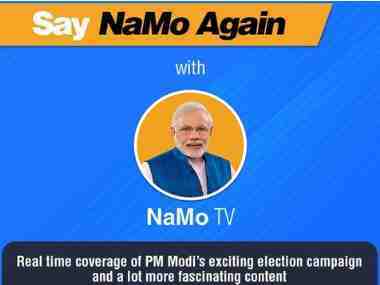 The Congress has obviously not learnt any lessons from the political harakiri it committed after one of its leaders enthusiastically made the 'chaiwala' comment only to see Narendra Modi occupy the South Block office months later as prime minister. With his decision to support Kovind, Nitish refused to reduce the prestigious presidential polls to a Dalit versus Dalit contest. After all, the president is the custodian of the Indian Constitution, chief commander of the three armed forces and head of the nation. The highest constitutional post can’t be seen through prism of casteist politics. Nitish has also conveyed a stern message that he can't be taken for granted in the Sonia-Rahul sponsored fragile Opposition unity. His message to the Congress, the Left, TMC, RJD, SP, BSP and others is that he has a mind of his own. BJP got a taste of it in 2012 and 2013. The Bihar chief minister's decision to stay away from the Opposition meeting has delivered a severe blow to the Congress’ machinations of uniting the Opposition. Nitish might not have good numbers in Lok Sabha and in Bihar Vidhan Sabha, but he is viewed as the only credible leader in the Opposition ranks. Without Nitish, it becomes a desperate coalition of frustrated leaders – Rahul, Lalu Prasad, Akhilesh Yadav, Mayawati, Mamata Banerjee, Kanimozhi, Yechury, D Raja etc. – who are either themselves or their other top party colleagues are under the CBI radar or are facing existential crisis in the wake of Modi’s rise. The proposed unity for the presidential election 2017 was taken as a precursor to build a grand Opposition coalition for 2019 parliamentary election against Modi’s BJP. 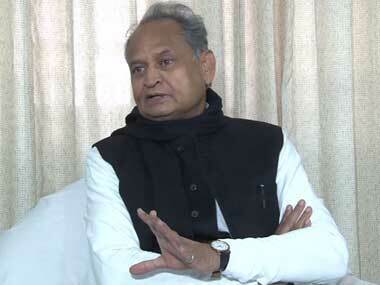 Nitish has dealt a blow to that plan by refusing to be a part of the coalition whose central pole is Congress. The party's vice-president continues to project that politics is only a part-time indulgence for him. Instead of being a part of the strategy meets, Rahul has chosen to spend time with his grandmother in Italy after his brief photo-op on the Rajasthan-Madhya Pradesh border. Bihar chief minister has also refused to side with scam and benami property tainted Lalu Prasad and his family. On 26 May, Nitish stole the thunder from Sonia'a luncheon meet. His absence made more news than the two dozen Opposition leaders who were present. Only a day later, Nitish was in Delhi to attend a lunch hosted by the prime minister in honour of visiting Indian origin Mauritian dignitary. He also had a one-on-one meeting with Modi. Once again, Nitish chose to be seen by Modi's side rather than side with Sonia-Rahul-Lalu. 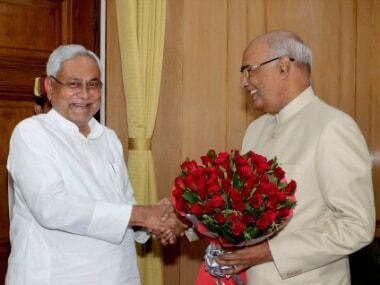 In 2012, Nitish had broken from NDA ranks and supported UPA presidential candidate Pranab Mukherjee. This time, he has distanced himself from a hypothetical UPA 3, to support the NDA presidential candidate. One can only speculate what to expect from Nitish in 2018-19.